Real 3D space and the ability to turn around 360 degrees cements the illusion. Initially, humans used oral storytelling and crude pictures on cave walls to document and share stories. Written language helped focus and cement the experience. Then, illustrations and painting helped memorialize the story. Printing presses helped even more. Crude photographic tintypes were replaced by black and white photography, and then color photos. Then came printed pieces for the masses- flyers, brochures, books and magazines. Then moving pictures. 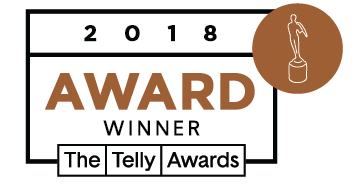 Recorded sound and here came the talkies: films with moving pictures and sound. Then TV, videos, the internet with web pages and online videos. Flash forward to today and 3D Virtual reality in 360 degrees. Now, there are no more realms to conquer: 3D space and the ability to turn around, looking sideways and even up and down, complete the experiential storytelling process and make it as immersive as possible. 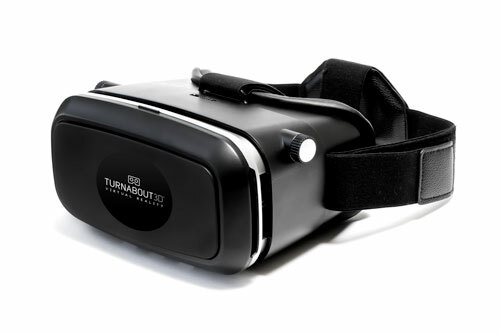 Welcome to Turnabout3D Virtual Tours. Cardboard viewers are made of stiff cardboard and employ low-cost lenses. Typically, they range in cost from $1.75 - $11, and are robust enough to keep for a long period of time (versus being disposable). 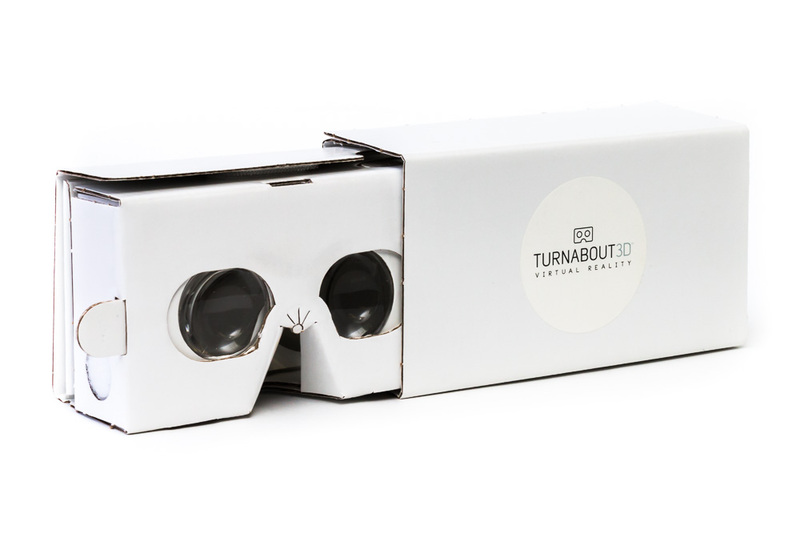 Unfold the cardboard viewer (available online here) , insert your smartphone, and you're ready to experience Turnabout3D VR. Whether it's a campus tour, New Home experience, Meeting Space, or VR experience in a hard-to-get-to location, Turnabout3D is your ticket to the ultimate experience of "being there." Dedicated VR systems with expensive computers and headsets become a thing of the past. 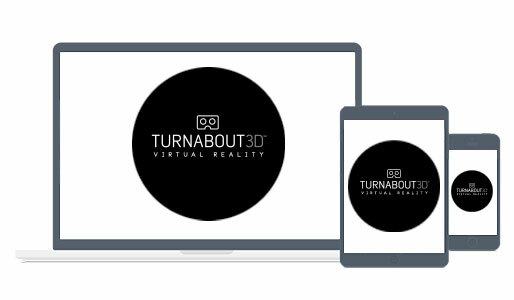 From the iPhone to any device running Android OS, from the iPad to any Android tablet... Turnabout3D brings the future to your phone. And although users can't enjoy 3D on a typical desktop computer and monitor, the 360 effect still works. Just by clicking and dragging your mouse over the movie area, users can navigate around the scene: up, down, left or right.... in a complete 360-degree circle! Send any High School total access to your campus in 3D, with a package cost of less than $10, and give them a way to energize prospects. Get the evil eye from other schools when the line to get to your table winds around the room. Kids love VR, and Turnabout3D delivers. Even when using VR for the first time, parents are stunned by the immersive experience, and enjoy the experience just as much as the students. Even without a Cardboard 3D viewer, the 360-degree experience works alone (in 2D) with just a smartphone, no additional software required.